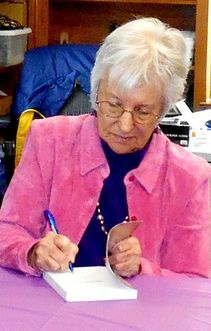 ​On Saturday, April 21, 1:00 p.m. at the Chesley Memorial Library, Carol Owen held a reading from and signed her new book, Sassafras Summer. ​It's the story of Annie, who drives cross-country to take refuge with her mother from her train wreck of a life — only to discover Mom is newly engaged. When Annie meets her mother’s soon-to-be stepson, enough sparks fly to start a three-alarm fire. But can Annie trust herself to let love in? Afterwards, Carol was joined by other local writers from the library’s weekly writing workshop, who read from their works-in-progress. ​​Carol Owen grew up in NYC and has been a professional artist for many years. Recently, she has come back to her love of writing, starting with her nonfiction book Crafting Personal Shrines and continuing with her novel Heartfelt. Sassafras Summer is the latest in Carol’s series of tender romances from Wild Rose Press. Visit her online at www.carolowenheartfelt.com. Want to be a visiting author at the library and visit us?